Thank you PSD Kennels and Jaime Alberto Gascon for selecting the absolutely perfect dog a Belgian Malinois for our family! She is alert, attentive and has grit – an outstanding personality! When we left your place yesterday for her first airplane ride to her new home in Edwardsville, IL. I must admit I was nervous traveling with a puppy – but she did great – Our family named her “Piper”! Attached is a picture of her arriving at St Louis Airport with our daughter! She is a quick learner ~ She is walking on a leash and when I stop – she sits right at my feet! And she has not made one mess in the house. Potty training her is a breeze-what a wonderful thing! I don’t have the words to express how happy we our with Piper! Look forward to attending you classes at PSD Kennels in the future with Piper! Again, thank you and please feel free to use me anytime as a reference! You guys are terrific! Well worth the plane ride to PSD Kennels ~~~ We love our Piper!!!!!!! 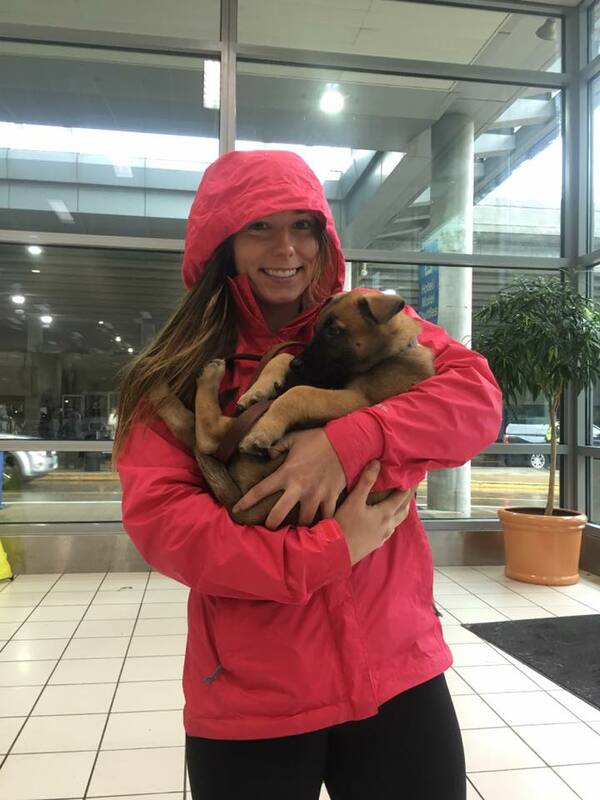 Pictures of Piper arriving at St Louis Airport and settling in at her new home! She’s fits perfectly with us – again, thank you! ← Our new Malinois puppy, Lillie!